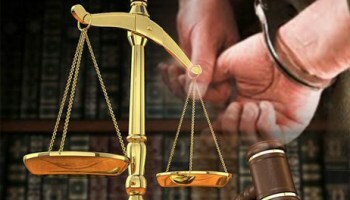 KUCHING: The High Court here yesterday allowed leave for a judicial review in a lawsuit filed by two hawkers against Kuching South City Council (MBKS) in connection with the revocation of their trading licence. State DAP chairman Chong Chieng Jeng, who is also a lawyer, represented Liew Kuet Thad and Liew Ka Fook who filed the application claiming that the revocation was unlawful. Last year, Liew was fined in a magistrate’s court for obstructing a public servant from discharging his duties after he pleaded guilty to the offence. He was convicted under Section 186 of the Penal Code, for committing the offence on an enforcement officer from MBKS at Stutong Market on March 3 last year around 8pm. Following the incident, the duo’s trading licence was revoked, which they claimed had affected their income as they solely depended on the earning from selling food. Chong said it a statement made available yesterday that not only Kuet Thad had been fined for the offence, it was a double punishment as his licence was also affected. It was reported that he had brought six other men to confront the MBKS officer, who earlier had advised them against entering the trading site at Stutong outside the permitted operating hours. Kuet Thad was said to have struck the officer during the confrontation, causing the latter to sustain injuries on the face and head.